Gurutej Singh Khalsa is a yogi, warrior, businessman, poet, healer, and teacher. For 35 years he studied Kundalini Yoga and the teachings of the Sikhs from his teacher Siri Singh Sahib Bhai Sahib Harbhajan Singh Khalsa Yogiji, aka Yogi Bhajan (1929 – 2004). As a trained law enforcement officer, Gurutej was a personal bodyguard and aide to Yogi Bhajan and traveled the world with him. He is the Founder of Akal Security, Inc., which he grew from a small start-up business in his living room to the largest privately held security services contractor in the United States and largest provider of protective services to the U.S. Government. Gurutej is a respected and recognized teacher, speaker, healer, and counsellor in his own right and has taught Kundalini Yoga, the science of meditation, and the teachings of the Sikhs all over the world. In 2001 he published a book of poetry, Children of the Cusp, about his experiences as a student on the spiritual path under the guidance of a great teacher. In 2014 he published his moving and inspiring novel RAJNI, which was awarded the Gold Seal of Literary Excellence. Drawn from myth, legend, and historical events and the first of a trilogy,RAJNI is a deeply moving epic about the powers of love, sacrifice, and the elevation of the soul. Gurutej Singh lives in Singapore with his wife and son. 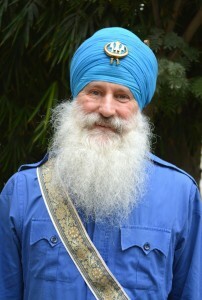 Pritpal Singh Khalsa has been a Sikh and a student of the Siri Singh Sahib/Yogi Bhajan since 1972. He has studied Gurbani Kirtan and leads kirtan in communities around the world, having released several recordings of kirtan and mantras. 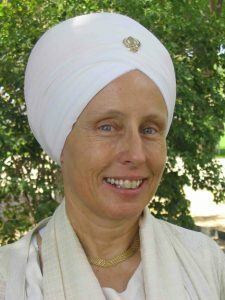 Pritpal Singh is also a KRI-certified Lead Teacher Trainer of Kundalini Yoga and is involved in several Level 1 and Level 2 trainings around the world each year. He is also a Yogic Life Coach and presents workshops on topics such as Meditating on Purpose, Conscious Relationships, Sacred Sound, Emotional Competency and Accessing the Divine Masculine. 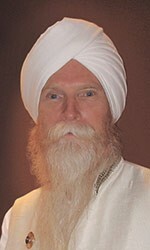 Pritpal Singh is the Director of Dharmic Education for Sikh Dharma International. His focus is on the development of programs that uplift people with the virtues and values of Sikh Dharma – through education, networking, seva and community building. Pritpal believes that it is essential to listen deeply to what is needed, envision through cooperation and creativity, and then lead with a strong sense of collaboration and teamwork to deliver positive world-wide impact. 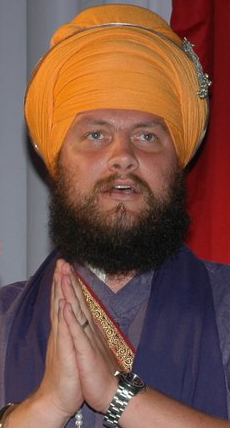 Sada Sat Simran Singh Khalsa was born into a Sikh family in Great Falls Virginia. He has been a member of 3HO since birth and grew up in the community in Northern Virginia. He went to Miri Piri Academy in India at the age of 9 and attended until graduation in 1999. He was School Captain and taught Gatka (the Sikh martial art) as a senior student. 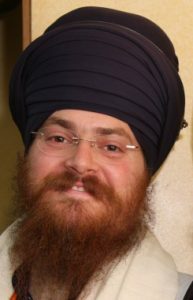 As a member of the Chardi Kala Jatha, Sada Sat Simran Khalsa has had the honor of traveling all over the world to perform music, to teach the ancient musical meditative practice of Gurbani Kirtan and Naad Yoga, as well as Kundalini Yoga and Martial Arts. The Chardi Kala Jatha have been blessed to perform kirtan inside the Siri Hari Mandir Sahib, the Golden Temple, in Amritsar many times in the last 10+ years.